Beverly Oliver was born in 1946. She worked as a dancer at the Colony Club. It was next to the Carousel Club (owned by Jack Ruby). Oliver claims she was standing on the south side of Elm Street when John F. Kennedy was assassinated. She was therefore one of the closest witnesses to the shot that killed Kennedy. She filmed the motorcade with a Super-8 Yashica movie camera but claimed that it was taken away by a Federal Bureau of Investigation agent on 25th November and she never saw it again. Oliver later identified Regis Kennedy as the FBI agent who took the film from her. However, Kennedy was in New Orleans at that time interviewing Jack Martin. Oliver left Dallas soon after the assassination and went into hiding (Oliver claimed she feared she would be murdered if she remained in the city). In 1970 Oliver married the mobster George McGann. Soon afterwards he was murdered by fellow gangsters. Later Oliver gave an interview to Gary Mack. She claimed that in 1963 she was a regular visitor to the Carousel Club and that Jack Ruby introduced her to Lee Harvey Oswald. Oliver also claimed to have seen David Ferrie and Jack Lawrence in the club. One of the enigmatic figures in Dealey Plaza in the moments when John Kennedy was murdered was "The Babushka Lady," so named because she wore a scarf much like a Russian grandmother would wear. She appears to be filming the motorcade, perhaps with an amateur movie camera, but she did not identify herself to law enforcement on the day of the assassination. And in the days and weeks following the assassination, no person turned up claiming to be her, and no film shot from her position was discovered. In 1970 a woman named Beverly Oliver came forward, and in interviews with researcher J. Gary Shaw, claimed to have been the Babushka Lady. She was a dancer and singer (although apparently not a stripper) at the Colony Club, a strip joint that competed with Jack Ruby's Carousel Club. She claims to have spent considerable time in the Carousel Club, and to have known Jack Ruby well. 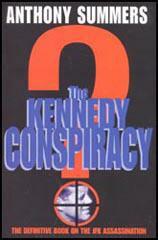 Over the years, her story has been elaborated to include many elements which, if true, imply a conspiracy to murder Kennedy. 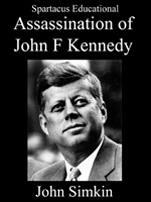 One of the most frequently asked questions regarding witnesses to the Kennedy assassination concerns a mysterious young woman who became known as The Babushka Lady. She can be seen clearly on the Zapruder film and also on various other movie films and still photographs taken in Dealey Plaza on 22nd November 1963. She was one of the few witnesses who was not immediately identified - thus the rather odd nickname which she acquired due to the 'babushka' or triangular headscarf which she was wearing that day. The question which The Babushka Lady provokes has become much more than just: "Who is she?" It has become much more positive: "Are The Babushka Lady and Beverly Oliver one and the same person?" Undoubtedly, the most important aspect of The Babushka Lady is the fact that she appears to be filming the motorcade. Her position on the south side of Elm Street close to eyewitnesses Charles Brehm, Jean Hill, Mary Moorman, etc. means that her film would almost certainly be a mirror image of the Z-Film. Perhaps more important than the presidential limousine itself would be what could be seen behind it. The background to The Babushka Lady's film would inevitably include the Texas School Book Depository (perhaps including the so-called sniper's nest window) and the grassy knoll. The question of The Babushka Lady's identity remained a total mystery following the death of the President. Nobody came forward to claim that they were the mysterious eyewitness and furthermore, nobody could suggest who the lady may have been. There it remained, and perhaps would have continued to remain, were it not for a chance meeting between renowned assassination researcher J Gary Shaw and a young lady called Beverly McGann shortly after a church service at the First Baptist Church of Joshua (a small Texas town 20 miles south of Fort Worth) in November 1970. The aftermath of this meeting is widely known and has been well-documented in many books. Beverly McGann (nee Oliver) related to Gary Shaw how she had filmed the motorcade and the assassination from a point on the south side of Elm Street. As anybody who knows Gary would be aware, he did not just accept this stranger's story without question. No - being aware that she had not had an opportunity to see the Zapruder film (and The Babushka Lady), he took her to Dealey Plaza and asked her to indicate exactly where she had been standing on the fateful day. To Gary's amazement, she did not hesitate but went straight to the point where The Babushka Lady can be seen on the Z-Film. The controversy over Beverly Oliver's claim to be The Babushka Lady has raged unabated from that day to this - and remains one of the most vehemently debated aspects of the Kennedy assassination mystery. Whilst there are parts of Beverly's account which I find difficult to understand, I firmly believe that Beverly Oliver and The Babushka Lady are one and the same person. Like many researchers of my acquaintance, on both sides of the Atlantic, I have frequently become involved in heated discussions (arguments?) concerning this question. I am delighted to report that no matter how involved some of these discussions have become, I have not yet ended up exchanging blows with anybody. I have something of an advantage over many researchers, particularly those outside the United States, in that I have had the pleasure and privilege to meet Beverly Oliver and her husband Charles Massegee on several occasions. I like to think that we trust and respect one another and I am proud to call Beverly Oliver my friend. Perhaps it may be thought that this tends to colour my opinion that Beverly was The Babushka Lady. I would refute that and stress that by speaking with Beverly regularly over the past couple of years I have come to know someone who is, in my opinion, one of the most open and honest people I have ever encountered. I was a 17-year-old girl that was at Dealey Plaza that day taking pictures of the President when he was assassinated. I never wanted to become a public figure over this. I never intended to. Until my name was accidentally leaked to the press in 1972, I was not a public figure. It has caused me great grief. It has caused me a lot of concern in my life. I have been called a liar as recently as today. I have been called a hoax. I am neither a liar nor am I a hoax. I am who I say I am. I was down there that day standing between 20 and 30 feet from the President when he was shot. I was taking a movie film which on the 25th of November was confiscated by a man who identified himself as an FBI agent. I have never until recently started trying to inquire about my film because I am extremely patriotic, did not see that there was any reason to because I had assumed all these years that it was locked up until the year 2029 as evidence, and I am still not sure that there is anything sinister about it, and that is why I am here. I would just like an explanation as to what happened to my film and where it is, and that is the only reason that I am here.